You can't see it in the photo, but that gray utility box is screwed onto a piece of Lexan, so the window is more-or-less sealed closed. 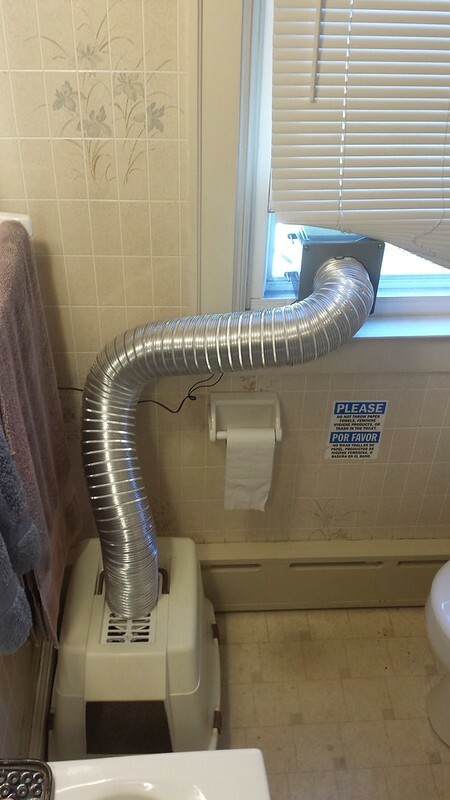 I figure the fan has a side benefit of improving the bathroom ventilation. Also, I can take it all off and restore the litterbox to its former functionality if I want to, for some unknown reason (hmm, winter). There's a bathroom fan that makes fan noises when the overhead light is turned on in the bathroom, but it's unclear to me how well it's actually working, and I don't think we'll have the full answer until winter hits. This project was annoying because it involved working with materials that I don't enjoy working with: lots of plastic, a bit of electrical wiring. I never did get the correct kind of cutting tool for cutting plastic with the Dremel. I should probably look for one for lab projects. While my thumb looks bad, it's my index finger that hurts the most now because it's the spot that currently has an open rip (to use annikusrex's proper parlance, from gymnastics). I probably shouldn't have gotten that blister on my palm, but I suspect that's a product of holding the handle funny. 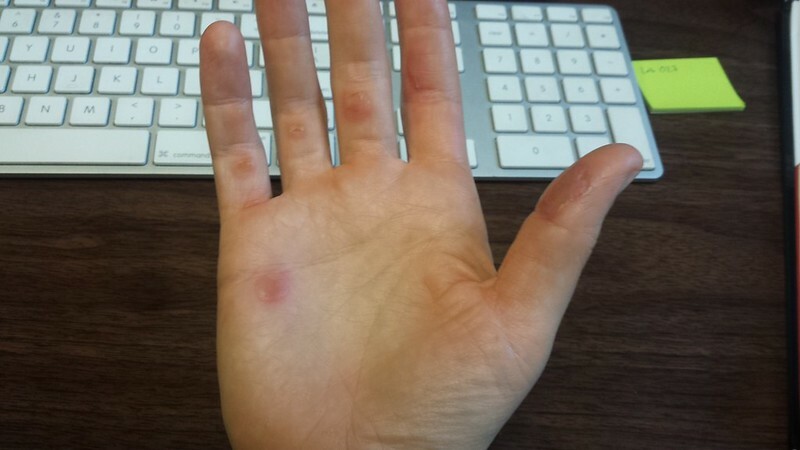 On the other hand, there's a corresponding callus on my left hand. This entry was originally posted at https://rebeccmeister.dreamwidth.org/1251513.html. Please comment there using OpenID. I've pondered often on a litter box ventilation rig exactly like that. Looking forward to the results.